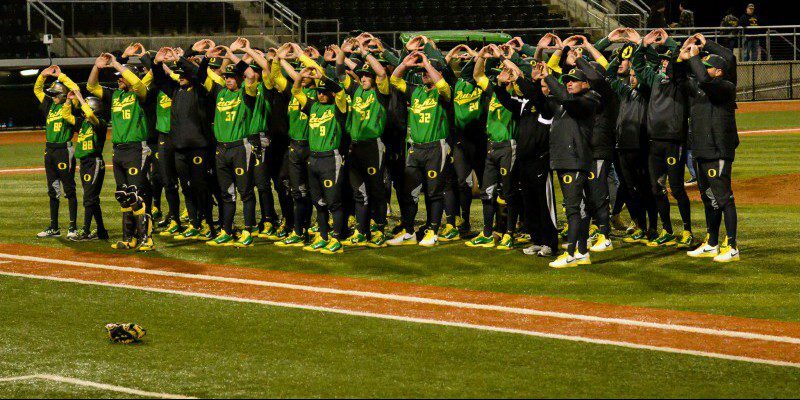 The Oregon Ducks baseball team had a great weekend in Hawaii to open the season, taking three of four games from the Rainbow Warriors. A weekend of ups and downs, high-scoring blowouts and nail biting comebacks was a showcase of things to come this season. Three players who had major impacts were infielder and pre-season third-team All-American Mitchell Tolman, true freshman David Peterson and designated hitter Phil Craig-St. Louis. Tolman stepped into his role as a leader of this young team well this weekend. Yesterday Tolman provided the go-ahead run in the top of the ninth inning to boost the Ducks to a win. He started his season strong batting .462 with three walks a stolen base and two RBI. In Sunday’s 10-1 loss, Tolman was the only Duck to plate a run. George Horton has put together an incredibly talented pitching staff for 2015. There has been a lot of talk about the offense George Horton has put together this year. The question mark, if there was one, has been the inexperience of the pitching staff. Peterson proved that despite his true freshman tag he should be trusted to deliver this season. The 6’6″ lefty pitched six solid innings with eight strikeouts, two walks and allowed only two runs — one earned. All his numbers in his first collegiate start surpassed his averages coming into the season. We are sure to see great things from him this year. Craig-St. Louis filled his role as the designated hitter admirably over the series, going 4-7 over three games, picking up three RBI, a walk, two stolen bases and scoring a run. Craig-St. Louis charged out of the gates in the season opener on Friday, going 3-4 with all three of his RBI. On Saturday Hawaii was able to keep him quiet at the plate; however, he did manage to draw a walk. After a day off Sunday, he returned and started the scoring in the ninth that led to a comeback win for the Ducks. 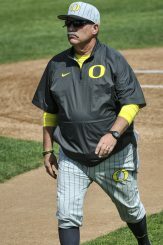 Overall the Ducks had an excellent start to their season, and the offense showed that the high expectations are ready to be met by scoring 19 runs over the four-game series. Cole Irvin returned to the mound as well, providing a young pitching staff some experience. Oregon’s next game will be Thursday night at home against New Mexico State.